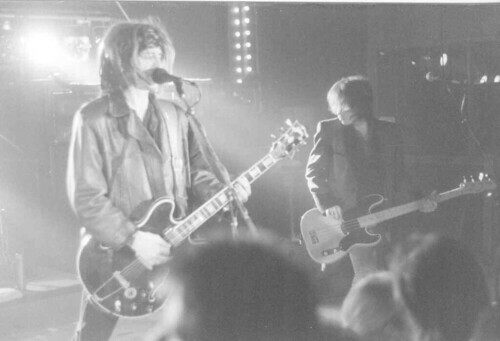 My most viewed picture on Flickr, with 2,149 views, is this picture I took of Izzy Stradlin' at a now defunct rock club in Charlotte called Rocky's. Rocky's was a good place to see band. I saw a few good shows there. Molly Hatchet and Blue Oyster Cult stand out as especially good shows and Ice T with Body Count was a doozy. This Izzy Stradlin' show is by far the best show I saw at Rocky's. I saw a sign at the front of the club that said photography was not allowed but I snuck my camera in by holding it tight to my side. I was only able to snap a few pictures before a bouncer told me "no pictures." The pictures all came out real grainy because I couldn't use a flash. At least he let me keep the film.